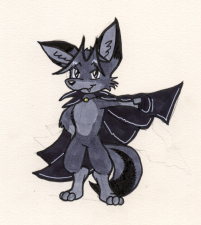 More copic marker experimenting. Also, found a nice white gel pen to play around with highlighting. Yay! This thank-you pic was sent to Traxer for sending me some awesome fan art.